The chicken egg is a model of particular interest since it contains all the components that are essential for embryonic development in a closed chamber exposed to a putative aggressive milieu. The chicken egg is a model of particular interest since it contains all the components that are essential for embryonic development in a closed chamber exposed to a putative aggressive milieu. The hen must anticipate the needs for embryonic growth and protection and therefore supply in the egg, in addition to the nutrients essential for embryogenesis, many molecules that participate in the defence of the embryo. The development of high-throughput methods in combination with the newly available chicken genomic sequence has recently revealed the presence of more than one thousand molecules which had not yet been characterized. Our objective is to further characterize biochemically and functionally the novel proteins involved in antimicrobial defences of egg. Three teams of the Centre de Biophysique Moléculaire are involved in the structural part of this work: “Synthetic peptides, glycopeptides and proteins” (A. Delmas), Biomolecular NMR: Structure, dynamics and interactions” (C. Landon) and “Structural immunity” (A. Roussel). 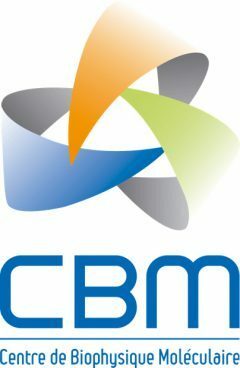 We will determine the 3D structures of a set of proteins selected for their high antimicrobial activities – some of them will be synthesised in the CBM -, in order to establish structure-function relationships, and to elaborate new compounds that can be of benefit for human or animal health.